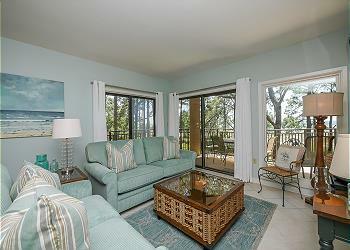 This charming 2 Bedroom, 2 bath sound front villa in Sea Pines will delight your family! 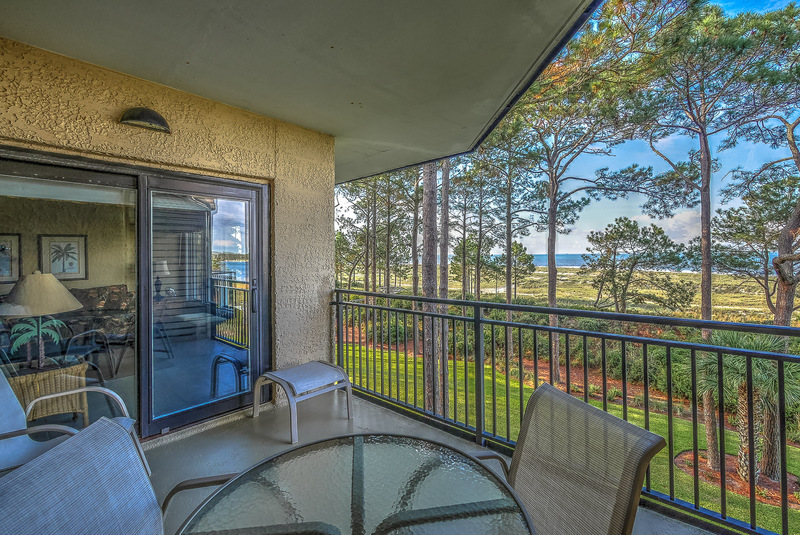 The view from this 3rd floor villa of the Calibogue Sound first captures your attention, seen through sliding glass doors that open to a private balcony where you can enjoy surveying the dunes, the beach, and occasional dolphin sighting. The living area is decorated in pleasing yellow and cream with sage accents, the dining table seats six and is adjacent to the fully appointed kitchen. Nearby are a full-sized washer and dryer. With a serene color palette, the master bedroom houses a king-sized bed, balcony, cottage furnishings, and an armoire housing a flat screen TV and DVD. Its private bathroom features a walk-in glass door enclosed shower and double vanity. In a palm motif, the second bedroom provides two queen-sized beds, flat screen TV, private balcony, and bathroom with double vanity and tub/shower combination. 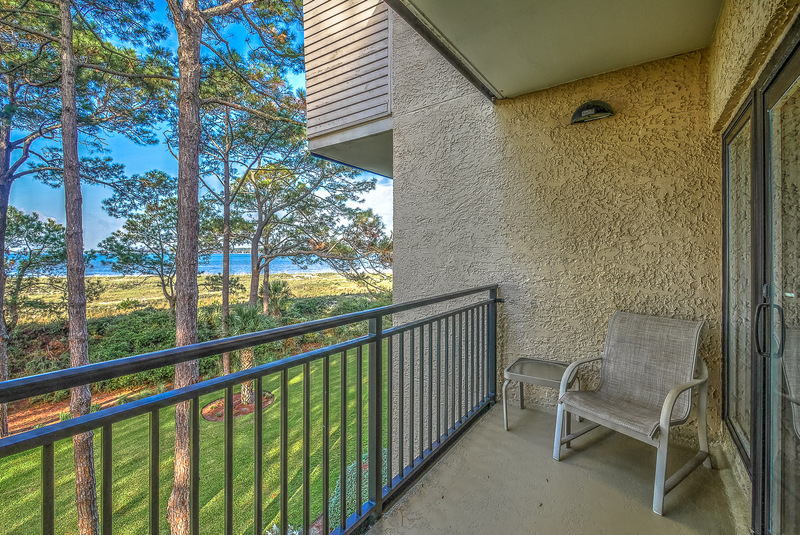 In addition to a sparkling on-site swimming pool and residents grilling area, you are within mere walking distance to the enchanting South Beach Marina Village, filled with endless recreation, excellent dining, and interesting shopping. Wide balconies, spacious and pretty interiors, walls of glass, and sugar sand beach at your door assure you a memorable vacation experience.